We built a medical device that is in people's home that serves 2 purposes. First, it collects then sends data to the secure medical database that can be viewed after sufficient data has been collected and analyzed through an LSTM (long short-term memory) neural network to diagnose illness. Second, it can act as a communications or reminder portal. 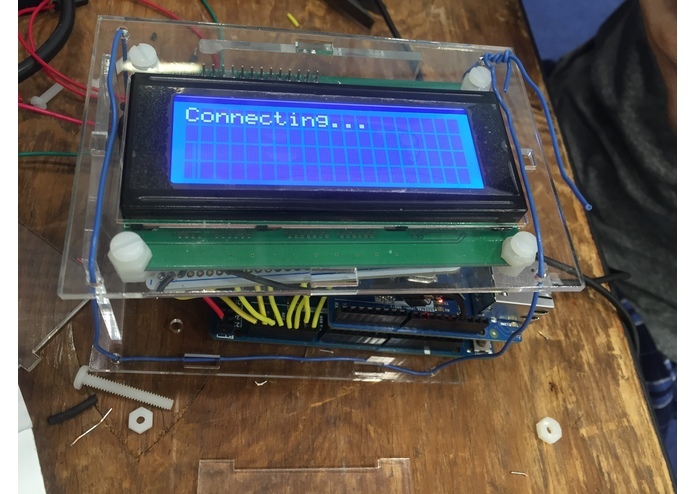 In order to collect data, we used a central arduino that connects to the internet, with the esp8266 chip, and gathers data from modular auxiliary arduinos, acting as sensors. 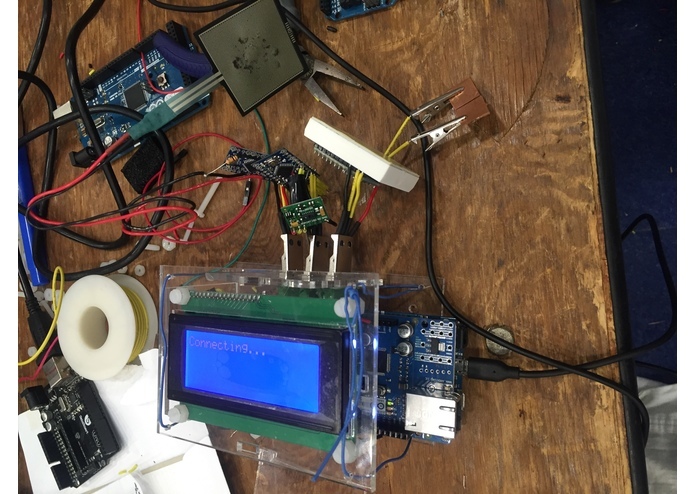 The sensors we built can record glucose and oxygen levels in blood, weight, and pulse. After the data is collected, it is sent with SSL encryption to a secure server. In order to determine if a person has a disease, we used machine learning. The neural network receives all of this data as inputs, and looks at whether there are trends in the data to predict whether a person has a disease. Aside from medical care, this project can apply to farms in terms of field health, water quality, climate change data, and many more fields. Early diagnosis of diseases can be extremely preventative and can help doctors employ treatments that will cure numerous lives. I worked on the hardware system. I am using a central arduino that connects to the internet, with the esp8266 chip, and gathers data from modular auxiliary arduinos which act as the sensors. The data is then sent with SSL encryption to a secure server, right now it is a google spreadsheet. I worked on the software part of this project through machine learning and data analysis. Essentially, the software is the proof of concept, so I created data that would mimic that of an actual user. Then, I created a LSTM (Long Short-Term Memory) Neural Network with a Keras Classifier to analyze the data and predict whether or not the user would have a disease.